Andrew Esbaugh is an Assistant Professor in the Department of Marine Science at the University of Texas at Austin since 2012. 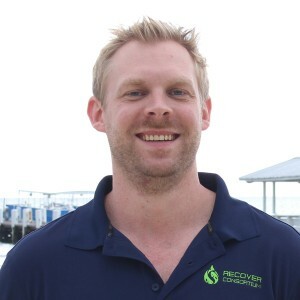 Dr. Esbaugh’s research is focused primarily on fish physiology with a particular focus on the interaction between physiological processes and environmental factors and has published approximately 40 peer-reviewed publications. Environmental factors currently being studied in the Esbaugh lab include natural characteristics common to coastal estuaries of the Gulf of Mexico, such as spatial variability in salinity or dissolved oxygen, as well as anthropogenic influences related to ocean acidification, climate change, and chemical toxicity. Dr. Esbaugh’s lab takes an integrative approach to these questions by combining multiple levels of organization ranging from gene expression to whole animal physiology and ecology. Dr. Esbaugh obtained his Ph.D. from the Department of Biology at Queen’s University in Canada. Dr Esbaugh is excited about many of the RECOVER activities; however, several themes stand out that will focus on how oil spills affect coastal ecosystems in the Gulf of Mexico. The first is the chance to provide mechanistic insight into how and why embryonic fish are particularly sensitive to polycyclic aromatic hydrocarbons. This work also provides an opportunity to examine the persistence of early life oil exposure effects and whether early life exposure will impact performance and behavior in later life. Finally, the species that will be studied – mahi and redfish – provide an excellent contrast in environments, from the consistent pelagic zone and to the spatially variable coastal and estuarine areas. Physiological adaptations required for success in these different habitats may impart inherent differences in the capacity for recovery from early life oil exposure.